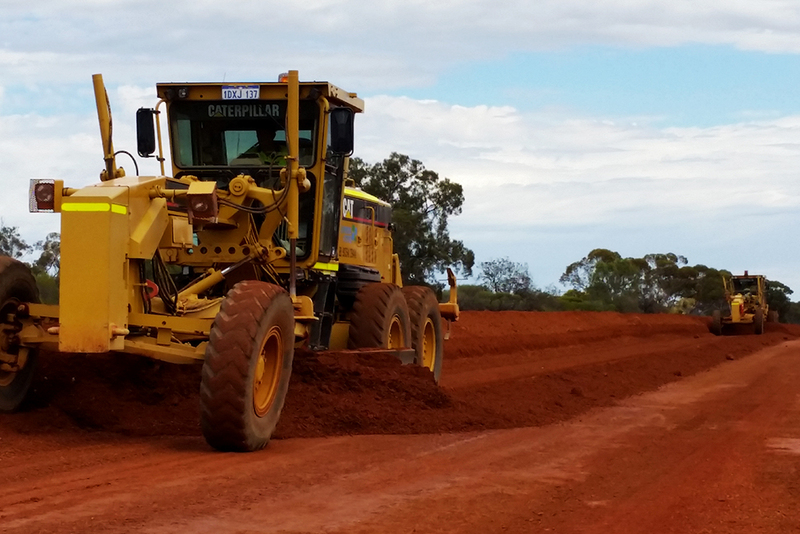 Leeuwin Civil was contracted by Lend Lease Services to upgrade the existing culvert and pavement on the Goldfields Highway at Kambalda, a town located approximately 60km from Kalgoorlie in the Goldfields region. 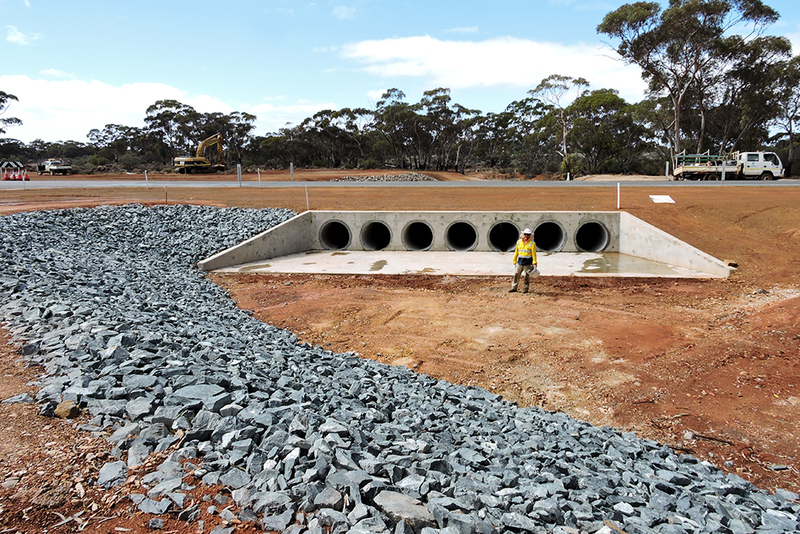 Works included replacing the existing three-barrel box culvert with 9 x 120 x 450RBC (65 No. 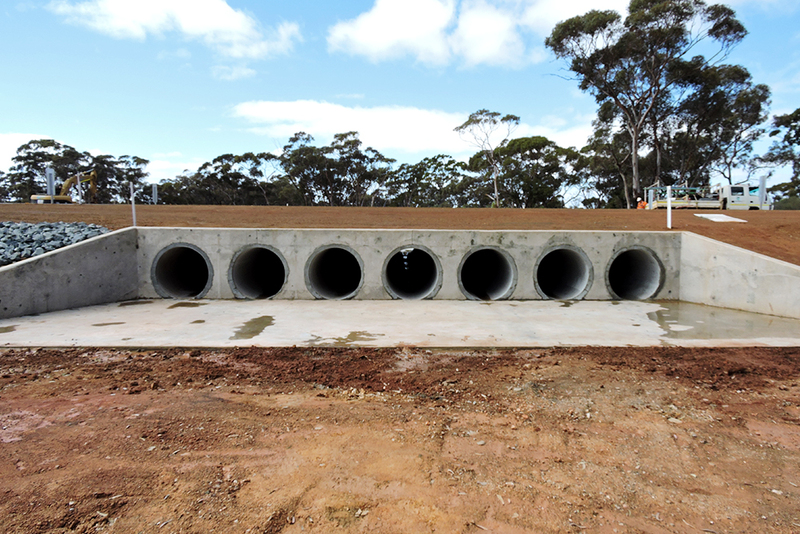 Box Culverts and 52 No. 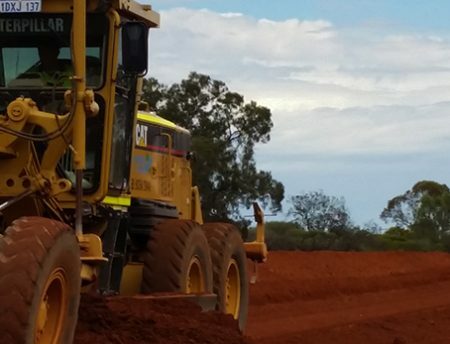 Link Slabs). 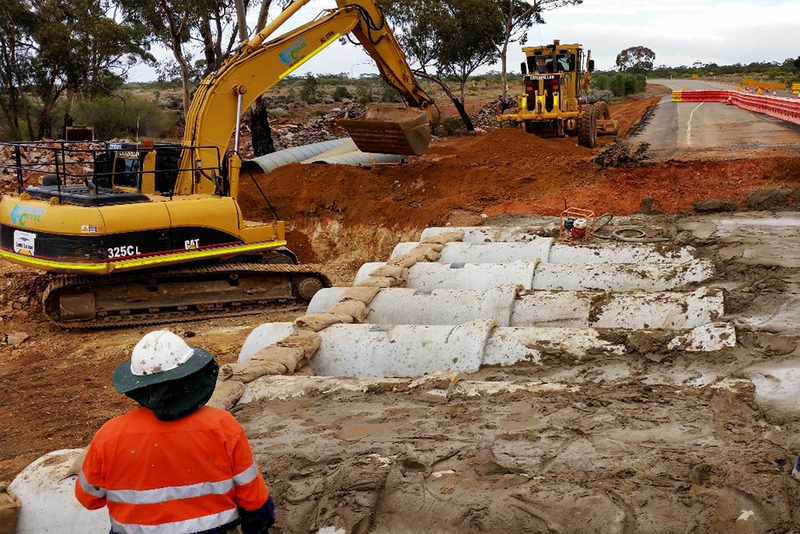 Leeuwin also completed approximately 1.1km of realignment and reworks on the existing road pavement, and construction of a temporary sealed bypass road to improve the functionality of the culvert to reduce the chances of flooding in the area. 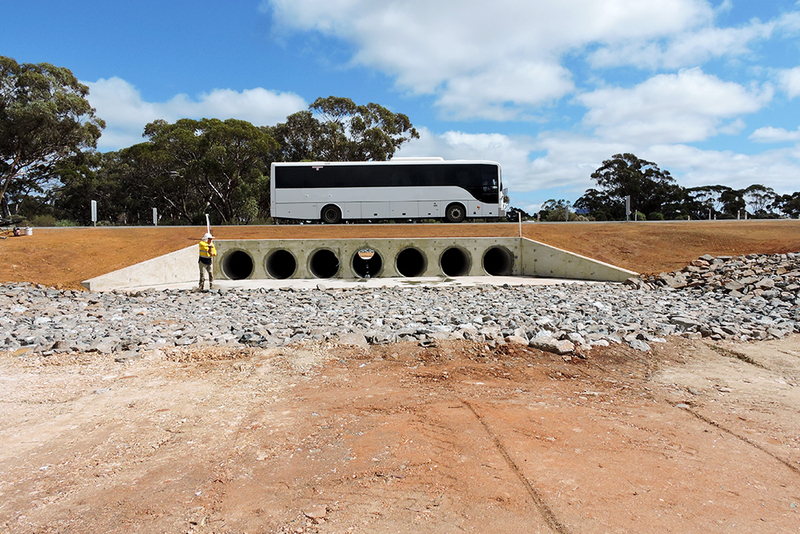 Works also included widening the existing channel at the culvert inlet and outlet.